Tina Fey is one of my all time favorite comedians. She is seriously one very funny mother! Her new film from Focus Features, Admission [starring Tina Fey, Paul Rudd, Michael Sheen, Wallace Shawn, Gloria Reuben, Nat Wolff,Traveris Spears, Lily Tomlin] will officially release to theaters in the U.S. on March 22, 2013 and Focus Features is giving (1) One Savvy Mom reader a very special chance to attend the NYC Premiere of Admission in Manhattan, on March 5, 2013! Admission will open in theaters everywhere on March 22, 2013. For more on Admission, visit the official website at: http://www.admissionmovie.com/ and find them on Facebook . 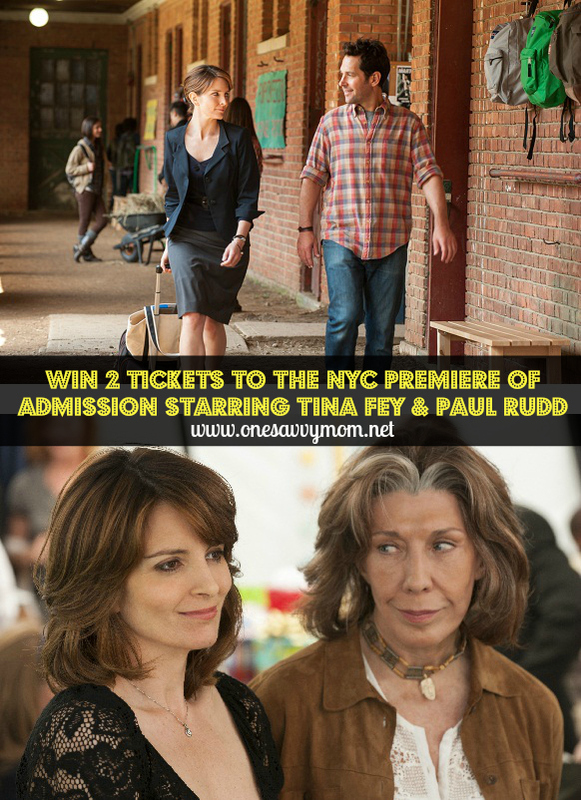 One (1) One Savvy Mom reader winner will receive: (2 )Tickets to the Admission Premiere on Tuesday March 5. The premiere will take place on Tuesday, March 5th @ 7:00PM in Manhattan. Prizing provided by Focus Features. Open to residents of the U.S. only. 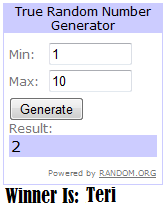 Entries must be received by 11:59 PM EST on March 3, 2013. Reader will be drawn at random through www.random.org and must confirm details promptly [by 12 PM Noon EST] March 4, 2013 (or another winner will be chosen in place). I followed you on Twitter (@babybritney) and liked the Facebook page. I also followed through Google Friend connect, Google +1ed the post, and subscribed on Youtube under capriamoon!